The 1920s and 1930s saw many aviation pioneers—those barnstorming and stunt pilots as well as air racers around the world. The Pacific Northwest was no exception. Spokane, Washington’s Felts Field was host to the Spokane Air Derby and National Air Races from September 21 to September 25, 1927 following the famous Charles Lindbergh landing at the airfield on September 12. In August 1929 Nicholas Bernard "Nick" Mamer and his copilot, Art Walker, made their endurance flight of 120 hours from Spokane to San Francisco to New York and back, fueling in the air and taking five days and nights in their Buhl Sesquiplane, propelled by a 300-HP Wright engine. John G. "Tex" Rankin also entered the Spokane Air Derby in 1927 as well as barnstorming the western states in the late 1920s and performing many of his own endurance flights including a nonstop flight from Portland, Oregon to Cleveland, Ohio and from Canada to Mexico in his Taperwing Waco. One of the more well known team of pilots, Cliff Pangborn and Hugh Herndon, Jr., flew their Bellanca with a 425-hp Wasp engine nonstop from Tokyo, Japan, 4,500 miles and landed in Wenatchee, Washington, having dropped their landing gear shortly after takeoff to lighten their load. This took place from October 2, 1931 to October 5, 1931. Among these early aviation pioneers was a man who became a pilot for a short time but spent the bulk of his career as an airline flight dispatcher, a job with a tremendous amount of responsibility and often referred to as the "pilot on the ground." 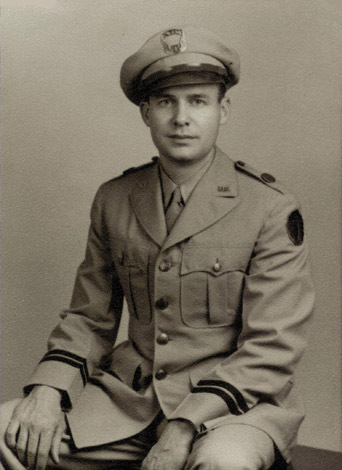 Charles "Chuck" Engle Smith was born August 15, 1907 in Portland, Oregon, but grew up in Spokane, Washington. The son of a traveling railroad auditor, Charles was brought up by relatives after his mother died when he was only eight years old. Charles graduated from North Central High School in Spokane in 1927 and worked a variety of jobs for two years before discovering aviation. Between 1927 and 1929 he worked at a drug store soda fountain, in a meat market, was a railway section hand, a highway construction worker, a commercial fisherman in Astoria, Oregon, worked in a newspaper office, sold insurance, and worked in an auto parts department. After drifting from job to job, Charles asked his father what he thought he should do. His father advised him to get something dependable and steady and stick with it but not to get into the transportation business because of lousy hours, irregular meals, and lots of trouble. 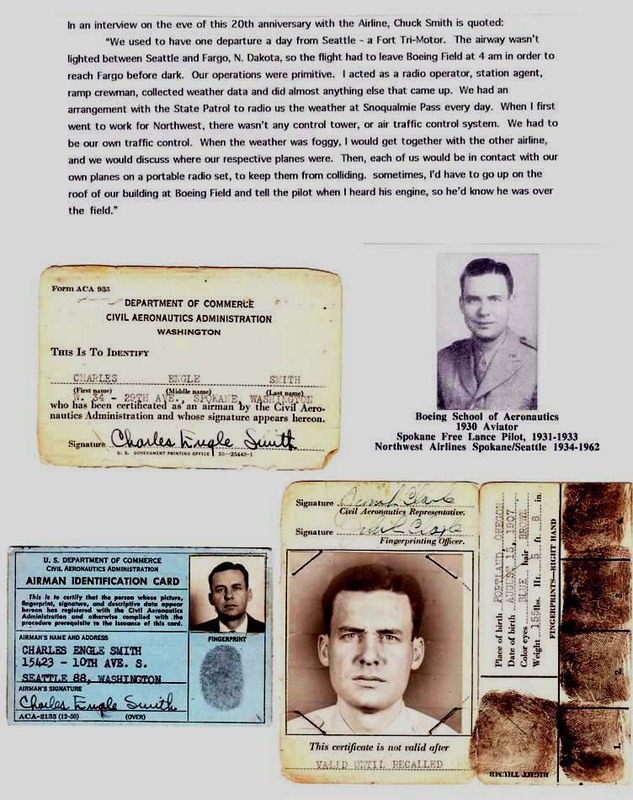 Charles recalled: "I knew of his being on the constant move as a traveling auditor, but since I had grown up with his railroad days, a message came to me one day—aviation. I tossed out his warnings somehow." In the autumn of 1929, Charles enrolled in the Boeing School of Aeronautics in Oakland, California, for a nine-month course. The Boeing School of Aeronautics opened in September 1929 and continued to grow from 100 to 500 students by 1934. 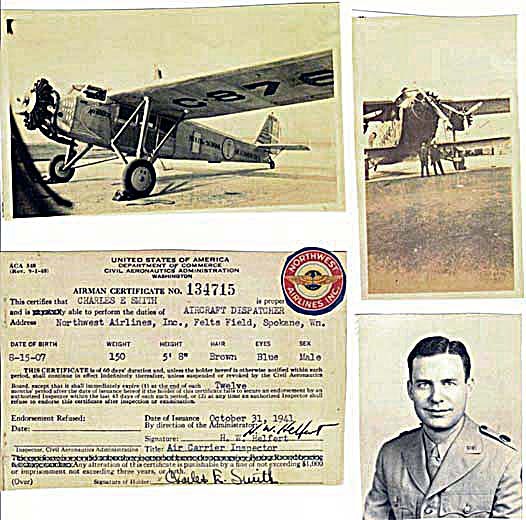 By the spring of 1930 Charles had a ground school diploma and by the summer of 1930 he had acquired an aeronautical radio operators license and a private pilot’s license, which he obtained by flying a Boeing 40B-4 biplane. After working odd jobs for a year, Charles landed a position as sales representative for United Airlines. Later, he became a line service man in flight operations at the Boeing School of Aeronautics. In 1933, Franklin D. Roosevelt ordered the banks closed and later cancelled the government’s air mail contracts, so Charles was out of a job again. Northwest Airways, established in 1926, was working its way west from Minneapolis. In 1934 it became Northwest Airlines and Charles was hired for $100 a month as a station agent in Seattle. 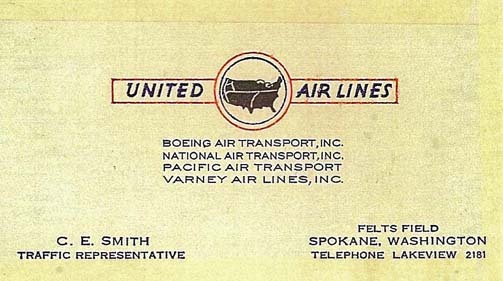 "With a telegram as my ticket, I boarded a Ford tri-motor at Spokane, and when I landed in Seattle, there were two fellows to meet me—the sales manager and a chief mechanic. I was handed the keys to the office and a book of tickets and fifty dollars in change." 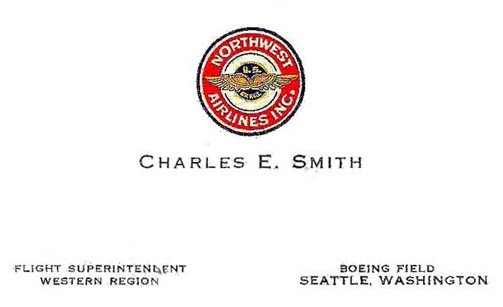 This was the beginning of a thirty-six-year career for Charles with Northwest Airlines. In the next few years, Charles would be transferred back and forth from Seattle to Spokane until he was assigned Seattle as his permanent base as a flight dispatcher. During World War II, Northwest Airlines was part of a civilian airline contract with the federal government called Air Transport Command. Its purpose was to help transport troops and materiel and to ferry airplanes to different cities. 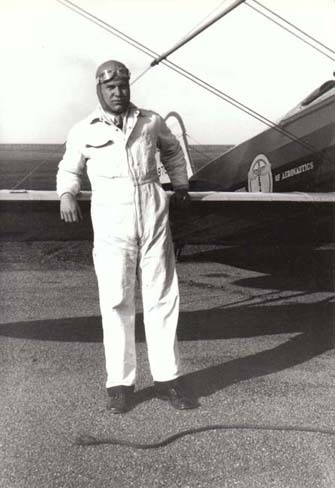 Charles wore the ATC uniform and frequently accompanied pilots on flights. While his children played outside his bedroom, and his wife did her household chores, Charles slept during the day. With a piece of cardboard to block out the light in his room and the drone of an old metal fan to lull him to sleep, Charles struggled to get enough rest for the work night ahead. This shift was from midnight to 8:00 am and was referred to as "the dogwatch" by the flight dispatchers and other operations crew. He would work three rotating shifts, changing every seven to ten days, for his thirty-six years with the airline. Upon arriving at work, Charles was briefed by the dispatcher who was going off duty. He was greeted by noisy Teletype machines pounding out messages about weather and runway conditions in other cities as well as airplanes landing and taking off outside his office, which was located in the upper level of the airline’s hangar. This was well before the days of computers and weather satellites. The flight operations office where Charles worked displayed a huge blackboard showing incoming and outgoing flights as well as those en route. Weather maps lined the walls of the meteorologist’s corner. Pilots and stewardesses came and went from the office. Both the pilot and dispatcher had to sign off before the flight could be released. As a dispatcher, Charles was responsible for the airline’s operation and safety. With the help of charts and daily reports from the Federal Aviation Agency (previously the Civil Aeronautics Board), which included weather reports, runway information, and flight cancellations and delays, Charles calculated the amount of fuel and weight the airplane could carry and decided whether the landing site was safe. If there was too much fog, Charles had to reroute the flight to another city. This was a major headache as the passengers would have to be transported to their destination before taking off or after landing at an alternate airport. Charles was informed of any mechanical difficulties with the airplanes that could delay a flight and also kept in touch with the air traffic controllers informing them of any flights diverting to alternate routes. "In the olden days," says Charles’ son, "from 1930 to 1950, with low flying non-pressurized aircraft, you had to know first hand what a pilot faced making decisions on altitude, remaining fuel, weather, icing, and all that other stuff. Having a radio license as well, allowed Dad to use different frequencies on the ground. All this made Dad better than most other dispatchers. Pilots checking in all knew Dad, and I saw how they respected him like a brother, because of his background like theirs, and I was amazed at the warmth there." Charles frequently accompanied pilots in the cockpit so he could become familiar with the routes he dispatched and keep up to date with any route changes. This was required by law. He would often fly to nearby cities like Billings, Montana. As the airline’s routes expanded, he flew to places like Honolulu, Hawaii, Tokyo, Japan, and Manila, The Philippines. The airline gave its employees "passes" and Charles would often take his family on trips. For example, he gave his son a pass to fly to Japan in 1951 and took his family to Honolulu in 1955. Charles served for a while as the head of the Air Line Dispatchers Association (ALDA) and was once asked by the airline's president if he would become vice president of Operations. Charles declined, as he didn’t want to get involved in "politics" and wanted to keep his dispatcher’s job. In the late 1950s, airlines began using jetliners for passenger transport. These airplanes were larger and required more work for the dispatchers. By 1968, the Boeing 747 came into use. Charles said with those jumbo jets, it was time for him to get out of the business, and he retired in 1970. Charles passed away December 3, 1978. 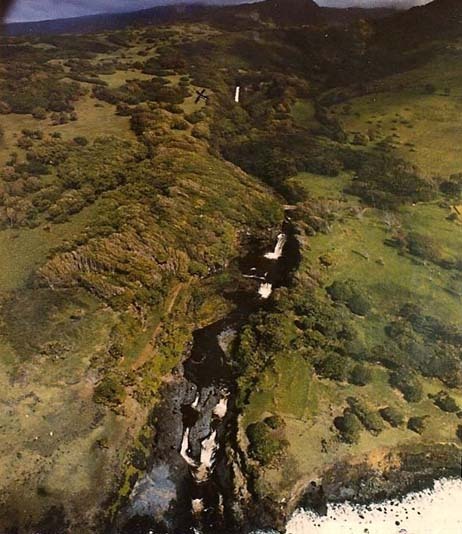 His grandson and granddaughter scattered his ashes in Maui, Hawaii in February 1979 near the grave of Charles Lindbergh, who Charles met in 1927 at Felts Field. He always wanted to be where "the sun was warm on his bones." Air Line Dispatchers Association International. The Dispatcher…Airline Safety and Economy in the Jet Age. Airline Dispatchers Federation. "ADF Historical Info." "Air Transport Command". Wikipedia, the Free Encyclopedia. <http://en.wikipedia.org/wiki/Air_Transport_Command>. Arksey, Laura. "Felts Field (Spokane)," HistoryLink.org Essay 8464. 15 January 2008. Bartley, Ron. "Tex Rankin, and His Legacy—50 Years Later." Oregon Aviation Museum. 27 January 1997. Gwynn-Jones, Terry. "First Across the Pacific Nonstop—November ’98 Aviation History Feature," HistoryNet.com. November 1998. Institute of Flight Operations and Dispatch (iFOD). "What's It Like to Be an Airline Dispatcher?" Johnson, D. "Boeing 40B-4," HistoricalAircraft.org. Lombardi, Mike. "Learning’s Always Mattered," Boeing Frontiers Online. March 2004. Mills, Stephen E. A Pictorial History of Northwest Airlines. New York: Bonanza Books. 1980. 44. "NWA History," Northwest Airlines--Up Close, History, Timeline, Past and Present. Smith, Anita Lorene and Robert Engle Smith. A Tribute to Nick Mamer. 1997.